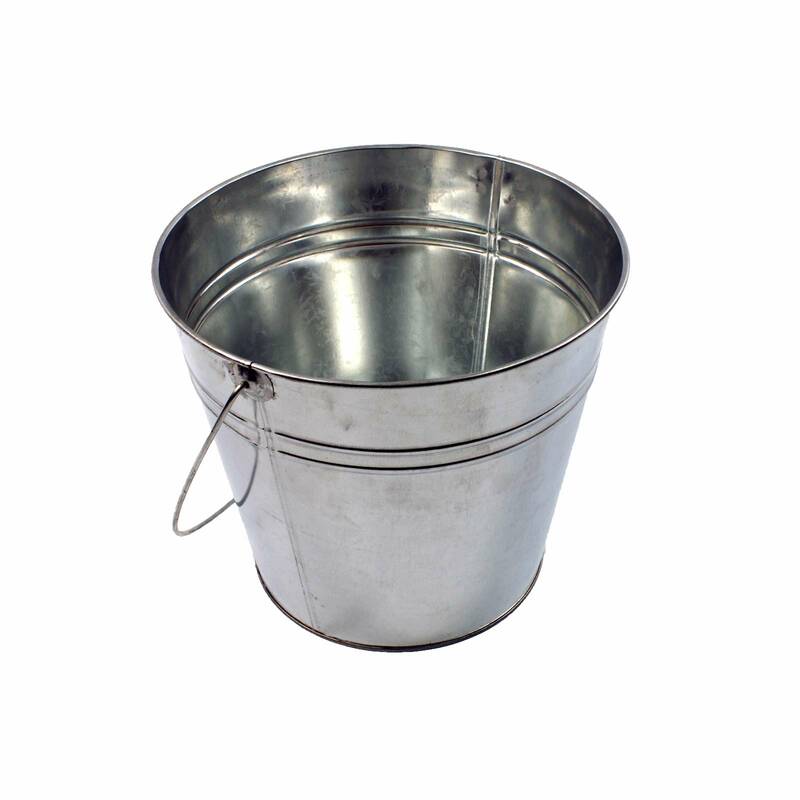 Traditionally styled metal bucket (or pail) in a galvanised finish. 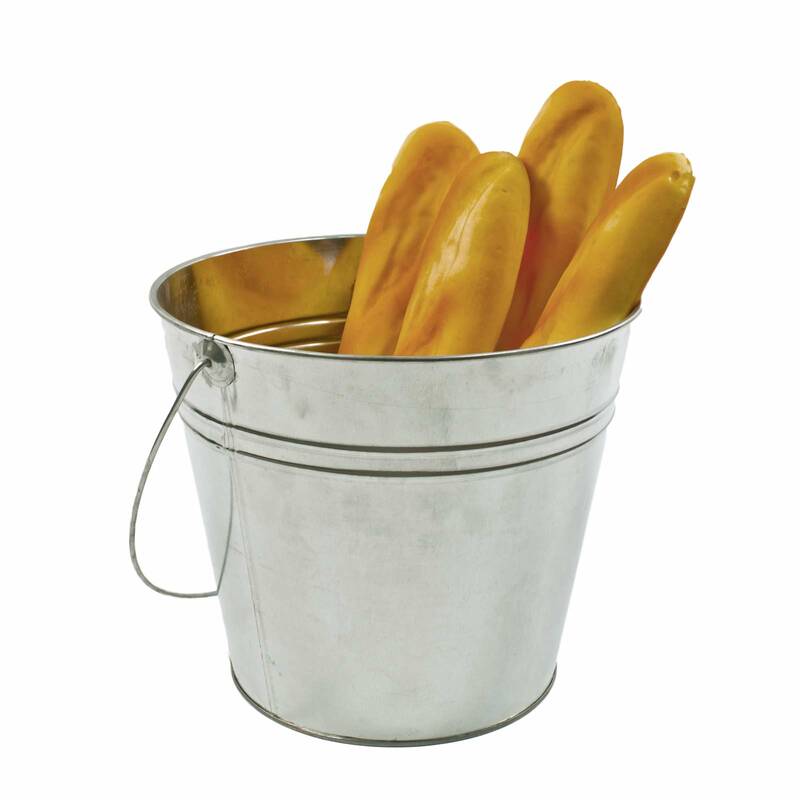 Ideal for the catering industry as the buckets are safe for food use when used in combination with a liner. 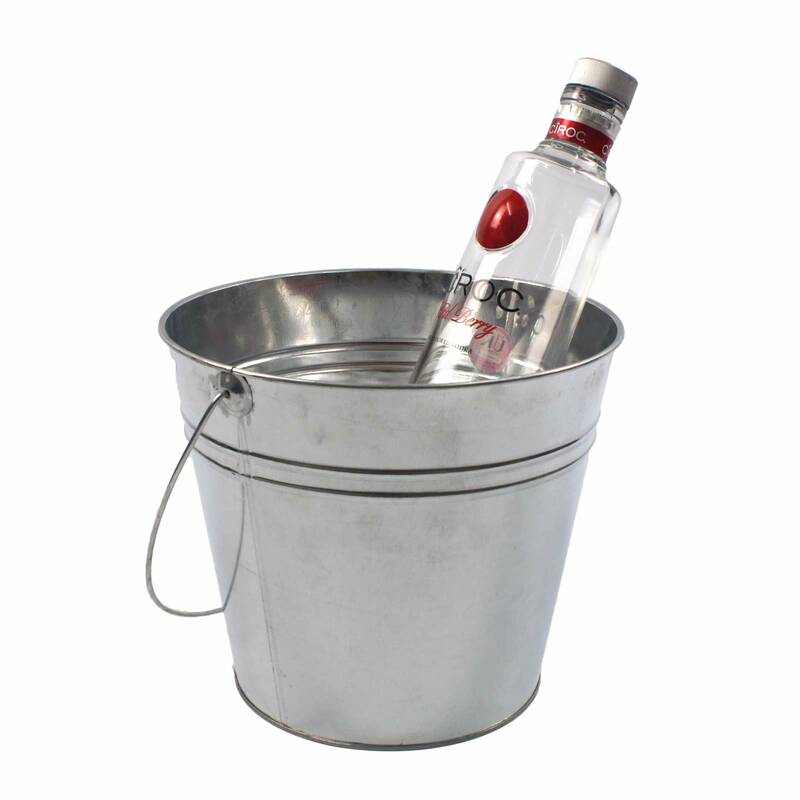 Use as an ice bucket, hamper or cut flower containers. Height: 190mm / 19cm / 7.5"
Diameter: 220mm / 22cm / 8.75"